No matter what roof you've chosen, here's what to know about warranties. Roof material warranties are usually the least meaningful way of comparing the quality of different roofing options. Instead of looking at what's been promised on a piece of paper, conduct some research to find out exactly what happens with this particular roofing material in your part of the world. You should also spend some time looking around your neighborhood to assess the condition and approximate age of those roofs. Roof material warranties are primarily written as selling tools. Their job is twofold - reassure potential buyers of a long lifespan while also limiting the manufacturer's liability. Just remember, this piece of paper won't keep your roof on or weather out. At best, it may assist with some of the cost after the damage has been done. But the worst-case scenario is that a warranty won't do a thing. 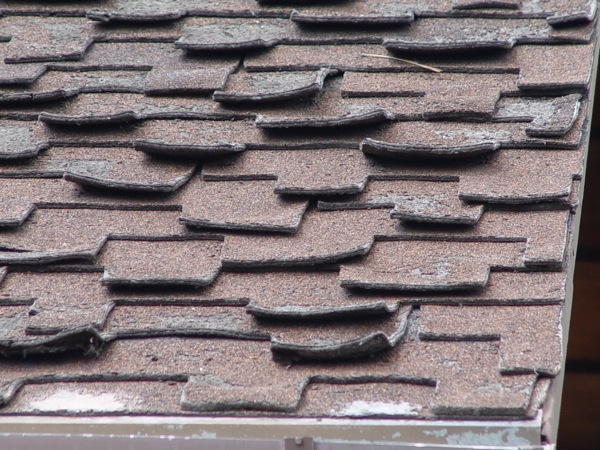 There are entire categories of roof materials that don't last as long as their warranty period. The opposite is also true - there are roof materials with close to indefinite lifespans that can actually outlast their warranty periods. You get what you pay for. And that's true no matter what your warranty promises. This roof was ready for replacement years (and even decades) before its warranties expired. And yet, it had none of the "defects" covered in the warranty. Above all, remember that warranties are not intended to protect the homeowner should something go wrong with their roof. That's why choosing your next roof based on its warranty alone is a big mistake. Want to learn more about warranties and roofing? As always, our free re-roofing booklet is a great source of information on this and many other relevant roofing topics. Download it today, then read and learn! Or call or click today - we're happy to discuss roofing with you.